Plans are underway for Bnai Zion Foundation’s forthcoming major 2014 annual gala, which is scheduled for Nov. 9 at the Westin Galleria. The esteemed endocrinologist, Dr. Jaime A. Davidson, will be the recipient of the Bnai Zion Distinguished Humanitarian Award. Jaime and his wife, Ana, are the parents of two sons, Aaron and Maurice. Nationally syndicated talk show host, best-selling author and veteran film critic Michael Medved will be the featured speaker who will augment this event, which by all accounts will be sold out. Diane Benjamin, president of the Texas Region of Bnai Zion, tells us that she is delighted that community volunteers, spearheaded by co-chairs Janice Pullman and Ynette Hogue, are already engaged in the ‘behind the scenes’ preparations. The Bnai Zion Foundation’s various programs are vital to the well-being of Israel’s medical needs that are felt globally. For more information about the event please contact Avrille Harris, executive director, Bnai Zion Texas Region at 972- 918 -9200 or visit www.bnaizion.org. 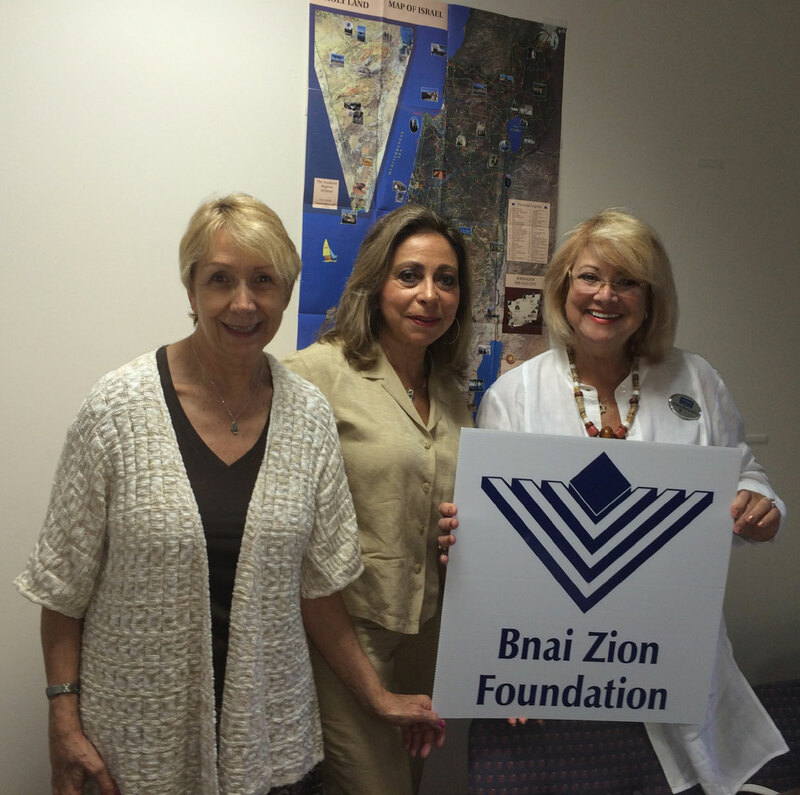 Pictured from left, preparing for the Bnai Zion 2014 annual gala, are Avrille Harris, Ana Davidson and Diane Benjamin. Jordan Weber has joined the Jewish Community Relations Council of the Jewish Federation of Greater Dallas as its community outreach and legislative affairs manager. Originally from Colorado, Jordan was reared in Fort Worth where he went to Southwest High School. He graduated from the University of Texas at Austin, majoring in International Relations with a specialty in Human Rights and Social Justice. Jordan’s interest in Jewish identity and civil rights advocacy led him to work with the Anti-Defamation League’s Austin office as an education intern. As part of a “Campus Leaders Mission,” he also traveled to Israel with ADL, and shortly thereafter moved to Paris to study abroad, where he conducted independent research on Anti-Zionism and contemporary anti-Semitism in French society. Jordan shared that he is excited to be working with the Dallas Jewish community and the JCRC where he will be able to apply his passions working on a variety of interfaith, social justice, legislative and Israel initiatives. Laura Silvis has joined the Federation as the Young Adult Division (YAD) manager. Originally from Youngstown, Ohio, Laura grew up in Plano and attended Plano East Senior High School. She graduated from the University of North Texas, majoring in Sociology. At UNT, Laura sought out the Jewish community and found Hillel, where she realized her passion for inspiring other young Jews to become involved and create a Jewish social life. Laura was the Hillel president and served on the board during her college career. In 2008, Laura participated in the Joint Distribution Committee’s (JDC) Short Term Service Program. She traveled to Argentina to help repair the Jewish community. This life-changing experience opened Laura’s eyes to the global need for the involvement and care of Jewish individuals everywhere. The one-on-one involvement inspired Laura to become a preschool teacher at the JCC. Once there, she realized that she needed to do more to help the community on a larger scale. As the new YAD manager, Laura says that she is inspired and excited to have the opportunity to apply all of her passions working with the young adult Jewish community. Cathy Ingles, support group leader and national board member of the Sjogren’s Syndrome Foundation, informed us of a luncheon meeting at 11:30 a.m., Saturday, Aug. 2 at Blue Mesa Grill, 14866 Montfort Drive in Addison. Sjogren’s Syndrome is an autoimmune disorder that most commonly affects the eyes, mouth and other mucous membranes in the body. Featured on the program is Dan Sullies, DC, and DACNB with Applied Neurology Health Center who will facilitate a Q&A session. RSVPs are required by 5 p.m., Friday, Aug. 1. For additional information, or to reserve a spot for the event, contact Cathy Ingles at 972-948-8606 or Destinysdesigns1@verizon.net.